As a proud borracha, it was only right to start off this “Piece of the Week” series a little boozy and a little slow, so wine is on the list this week. 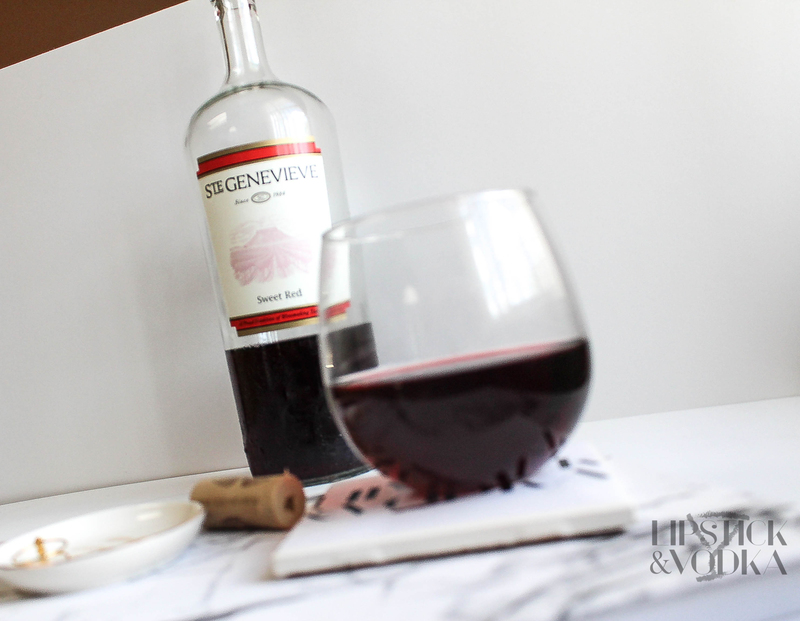 I’ve drank plenty of bottles of the Sweet Red wine from Ste Genevieve and let me tell you what I wish I knew before I started to. Cork Screw: This seems pretty simple but my usual inexpensive wines are screw tops and don’t need an actual cork screw so I always had to get creative in the beginning. If you’re going to start drinking wine get yourself TWO bottle openers. One for your home and the other to have in your car so you’ll never miss out on wine night, no matter where you are. Coast ers: This is just a preference but I have seen “water stains” totally ruin my wooden desk more than once. I say “water stains” because we know your girl doesn’t have water in those cups ? While I’m on this topic, can we just admire my Lipstick and Vodka coaster ? I love sharing my must have pieces with you and I can’t wait to continue this! Stay tuned, I’ll bring you all a treat soon ?